This week we are in Wendens Ambo, a scattered village near to Saffron Walden and Audley End House. With a population of just under 400 it nestles in the valley which is gets it’s name from, Wendene, amid the soft folds of chalk which form the uplands of north-west Essex. Wendens Ambo has a long history with evidence of settlement on the site since the Bronze Age. Excavations found remains of Bronze-Age flint tools in are area of Iron-Age and later Romano-British occupation. The present day settlement of Wenden was begun in the Saxon period to north of the stream, near where the church is today. The church of St Mary the Virgin dates from the 11th century that also most likely replaced an earlier wooden church on the same site. The settlement has since continued into the present day, facing challenges and changes such as the coming of the railway 1845 and the construction of the M11 immediately west of the village. Such changes have greatly influenced the village and it will be exciting to see if your students can show more exactly how the village has moved and changed. Five schools came together to make the trip a success: The Bishop’s Stortford High School, Davenant School, Stewards Academy, Passmores Academy and the Hertfordshire & Essex School. 43 year 9 and 10 pupils from these schools plus 12 6th Formers joined us ready to get involved and discover something new about this village already steeped in history. The first stop was an introductory talk from Alison Dickens, Manager of ACA, about how we go about excavating, but also very importantly, the concepts and ideas that determine why we do archaeology and influence how we interpret what we discover. With so much already clearly going on in this village, how will what the students discover about the village change our understanding? Will archaeology agree with the historical narrative, will it change what we see? The great thing about doing test pits is that we can really get inside the heart of the village to answer these questions. Two test pits were located in the garden of the Bell pub, while others were along Duck Lane, Rookery Lane and Chinnels lane. Test pit 1 on Rookery Lane quickly came up with a wealth of finds- they had hit a victorian rubbish dump with a wealth of marmalade jars, chicory coffee bottles and other objects. It just goes to show how our deposition habits have changed. Prior to dust bin lorries taking all our rubbish away, rubbish would often be buried at the bottom of the garden. Next door Test pit 2 came up with more modern objects including a toy car. Archaeologists call the way that objects have ended up in the ground the ‘deposition process’ and its important to think about to fully understand an object. Is this evidence of a buried hoard in response to invasion, or has this object been lost or thrown away? This adds an extra layer of interpretation to the objects. Other test pit found earlier objects. We had high hopes for test pits 3 and 4 which were located in the area of a known Roman Villa. 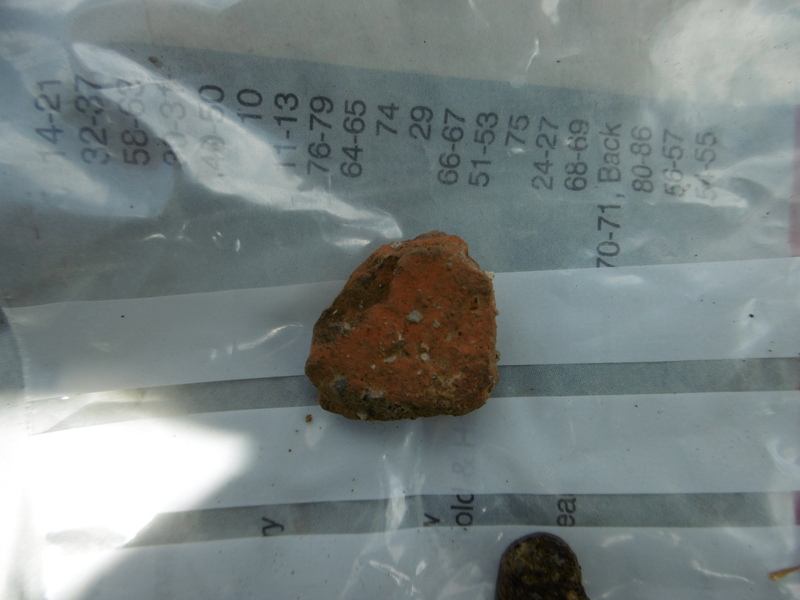 The did indeed come up with several sherds of Roman pottery and roof tile, as well as some medieval pottery. Great work guys! Interestingly test pit 5, very near by had only later materials. The objects were identified by the ACA team as we went round and helped by John Newman, an expert on the local pottery types. 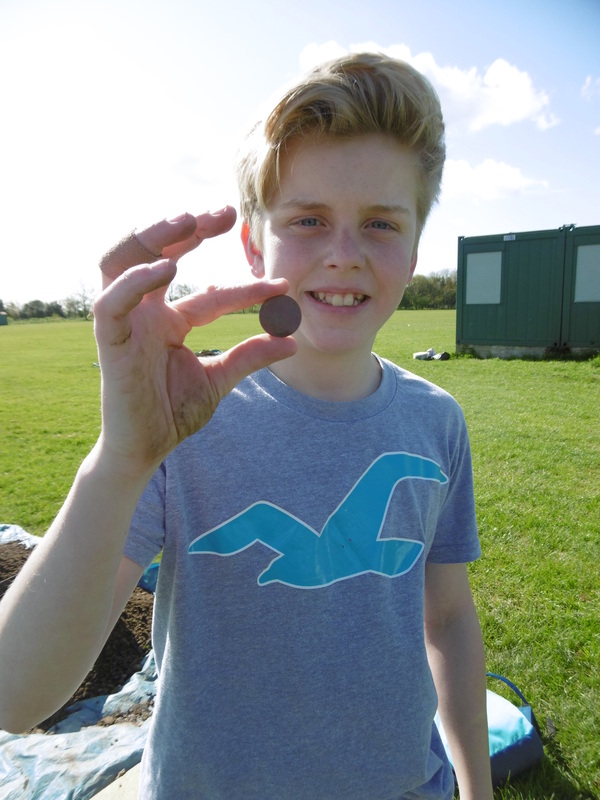 We were all very intrigued by the discovery in Test pit 8 of a 15th/16th century lead token. This had a ‘Daisy Wheel’ pattern on it, a common medieval design that was often scratched into wall, wooden beams and any other spots using a pair of compass shears. Interpreted as a protective or ‘witch’ mark it was a really interesting object to find. Test pit 8 also had evidence of the Arts and Crafts movement relating to the previous occupants of the house. Great to see such an range of finds! This is the first year we have been in Wendens Ambo so although we are just starting out there is a whole wealth of knowledge about the village already, some of which can be found on our website. Now the M11 cuts through the area, and along with the railway, has brought new influences into the development of Wendens Ambo. The test pits were supervised by 6th form students from The Bishop’s Stortford High School and Hertfordshire and Essex High School. This not only gave the 6th former’s valuable leadership experience, but the younger students also enjoyed being lead by non-teachers. 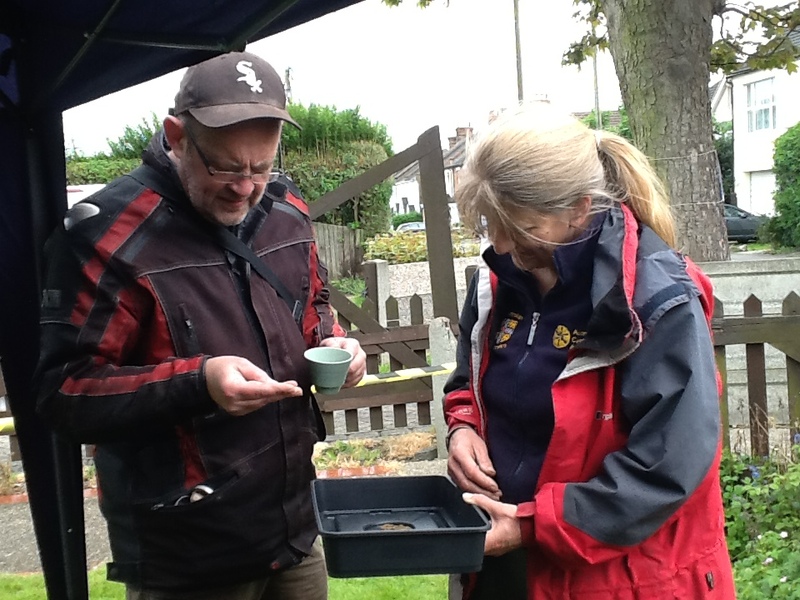 They also needed to interact with the public, as we had many local residents of Wendens Ambo very interested in the local dig. The students were able to show their finds off to an impressed audience. “I enjoyed meeting locals and learning more about Wendens Ambo.” JB Passmores Academy. For Day 3, it was off to Cambridge to bring together the concepts we had introduced on Day 1 and the practical side they had already seen. Now it was time to start interpreting those results. Students views of archaeology often drastically changes after their ILAFS experience; coming to realise just how many skills are needed, not just practical digging but also diligent recording to conceptualising a dramatically different past lifescape in a village. We want students to gain from the experience academically, as well as increasing personal learning and thinking skills, by producing a written report at the end. With new questions to focus on, the lecture to begin the morning on Day 3 in Cambridge, really seeks to bring together the knowledge they have accrued and starts them on the path to their own interpretations of the evidence for complex patterns of human behaviours. This is complimented by an hour spent in the Museum of Archaeology and Anthropology, looking at the same ideas, in many different cultures. Hopefully then these students will be able to go out and apply these same principles in other areas and be able to look topics at with a deeper level of interpretation. 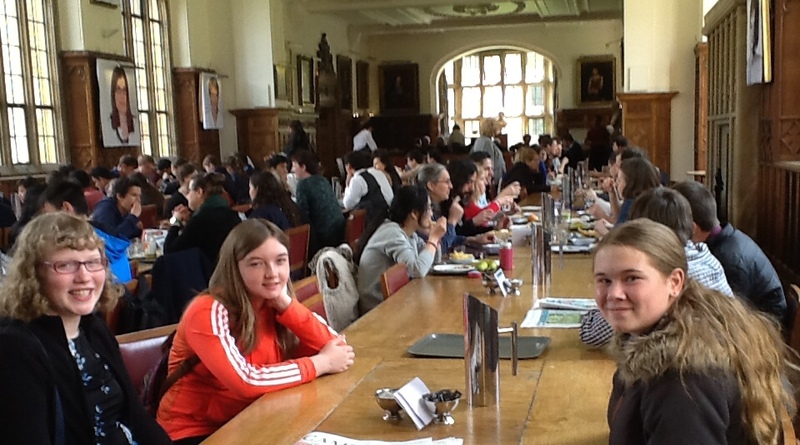 The day also included lunch at Peterhouse and Pembroke colleges for the students. Not only is time for a necessary refuel, its a time for the students to realise just what university is about- its not a continuation of school, but something much more exciting. Some pupils believe university is like boarding school, where there are restrictions on your time and maybe even on your mobile phone use! However we hope to show that through the ILAFS project and later on in Higher Education, you can take control of your own learning. Shona Watford, Schools Liaison Officer from Corpus college elaborated on this further with her talk at the end of the day. All in all it was a very positive three days which students and staff alike greatly enjoyed. “Course Leaders were clear, helpful and enthusiastic” JP Herts & Essex High School. 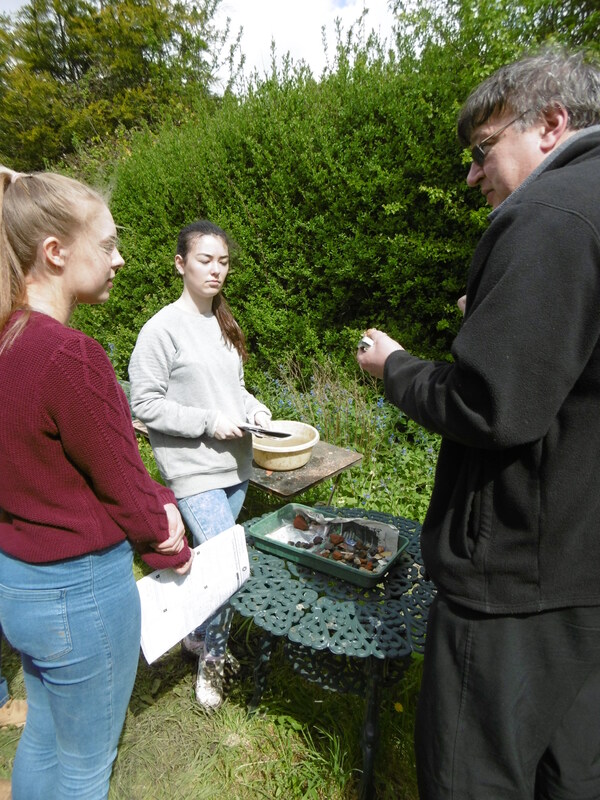 “I have learnt social skills and archaeological skills which was very interesting, a better insight into history of a settlement and a more indepth understanding of how to structure a report.” FP TBSHS. “I have learnt more about university and how work is completed there. I have discovered new things. JB Passmores Academy. 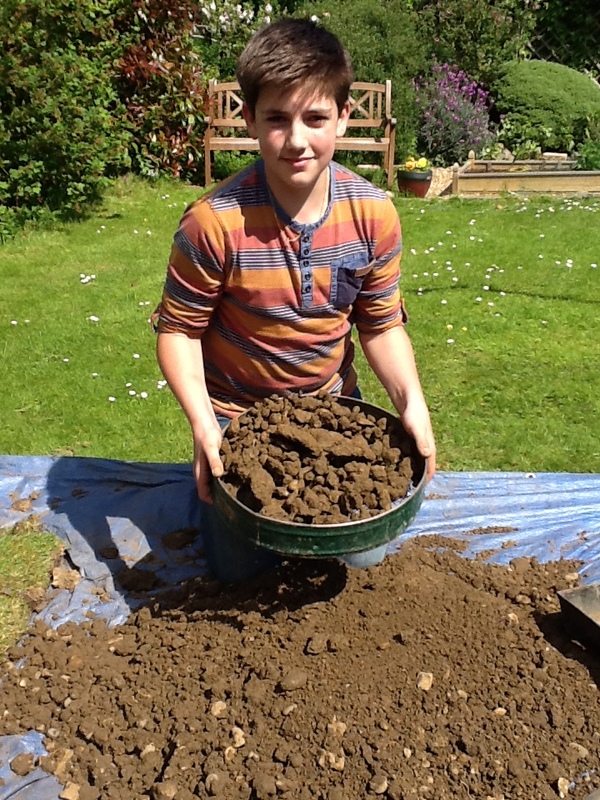 “I think that have a much better understanding of archaeology and university life and developed a wide range of skills that can be transferred to many things.” LB Herts and Essex. 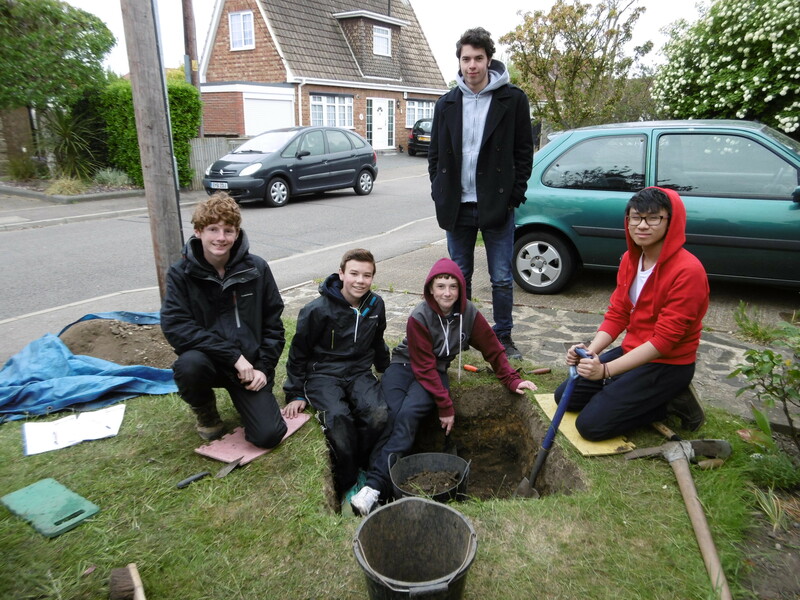 Thank you to the local history group for their efforts organising the test pit locations. The local residents of Wendens Ambro remarked at how well behaved the students were and they certainly have been a great bunch. Many thanks to Alexander Cokewoods from TBSHS for helping organise the trip. Access Cambridge Archaeology (ACA) hosted its seventh Higher Education Field Academy (HEFA) of the 2015 season last week in Hadleigh, Essex. 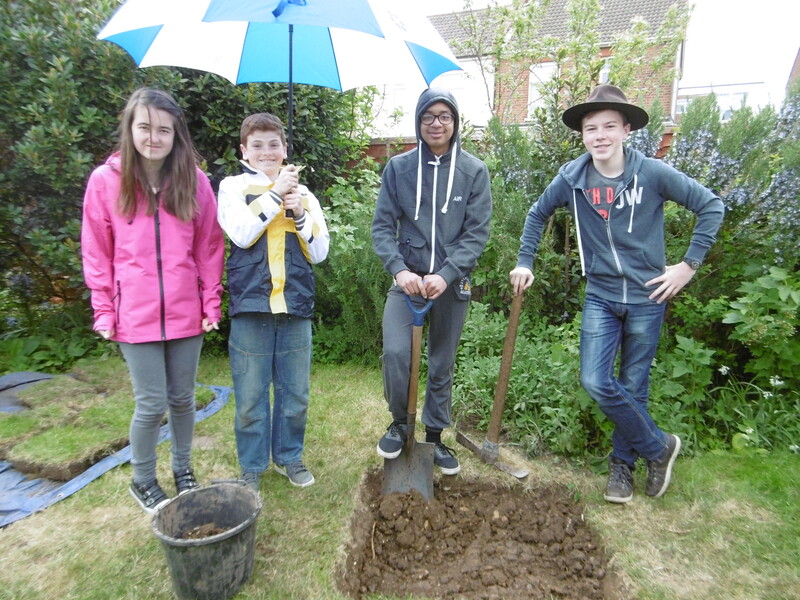 A total of 9 test pits were excavated on 13th – 14th May by Year 9 pupils from Southend High School for Boys, Shoeburyness High School, Cecil Jones Academy and Westcliff High School for Boys. Two test pits were also dug by members of the Archaeology Geophysics Enthusiastic Searchers Archaeological and Historical Association (AGES AHA). The test pits were organised by Terry Barclay and Lynda Manning of AGES AHA and our beacon school coordinator was Mr Gareth March from SHSB. 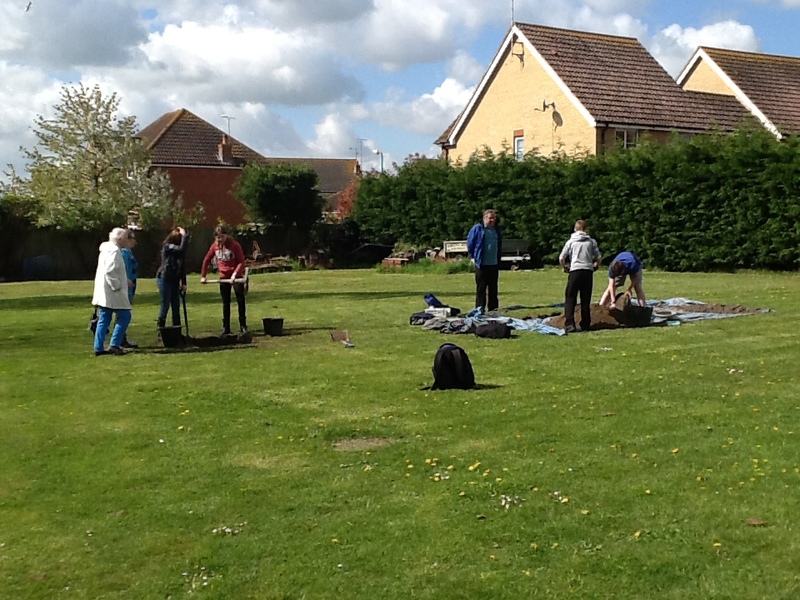 The base for the two digging days was the Hadleigh United Reform Church. The 11 x 1m2 test pits were located on St John’s Road, Falbro Crescent, Elm Road, Beech Road, Castle Lane, Oak Road South, Church Road, Rectory Road and London Road. Hadleigh, a Saxon word meaning ‘a clearing in the heath,’ is a small town in Essex, 5 miles west of the seaside resort of Southend-on-Sea and 35 miles east of London. It is well-known for the ruins of Hadleigh Castle, a 13th-century Grade I listed building and scheduled monument maintained by English Heritage. 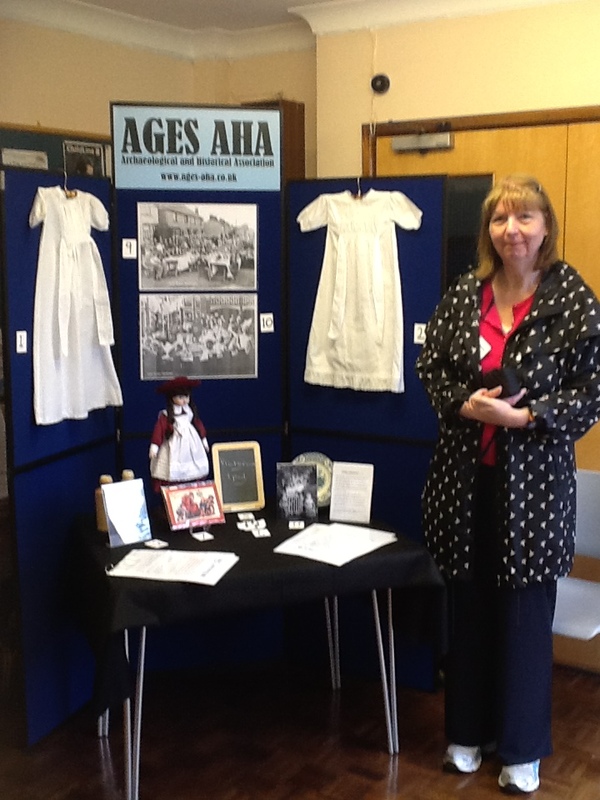 This is the first year ACA have hosted a HEFA in Hadleigh. In previous years, the South Essex HEFA was held in nearby Daws Heath, the reports from which can be accessed here. The students worked in mixed-school teams of 3 or 4 and were supervised by teachers from the 4 participating schools. After receiving a briefing on Day 1 from Dr Carenza Lewis, Director of ACA, about how to excavate and record the test pits, the students went out on site and excavated for 2 days. The weather, a major player in any English archaeological excavation, was well-behaved for the first day of digging, but Thursday, 14th May brought heavy, all-day downpours. 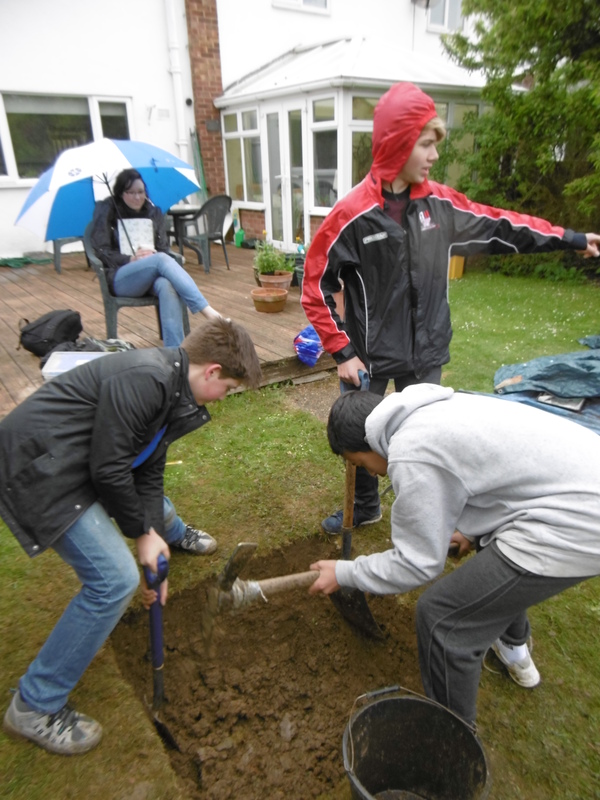 Our teams, however, endured the deluge and persevered with digging and sieving, returning to base only slightly muddy! Test Pit 5 didn’t let the rain spoil their day! We were pleased that the Essex Echo not only promoted the event in advance (here), but also sent out a photographer to cover the event. Once that article has been published online it will be available here. The students recorded all of their findings context-by-context in their individual Test Pit Excavation Record Booklet. This is not only an invaluable asset in helping to produce their written assignment, but also informs academic research and becomes part of the permanent record about each test pit kept on file at the University of Cambridge. Some Roman pottery sherds were found in two of the test pits and would initially indicate some sort of Roman occupation on the high ground looking over the River Thames. If the town of Hadleigh has Saxon origins it is not represented in the pottery findings from this year’s HEFA. 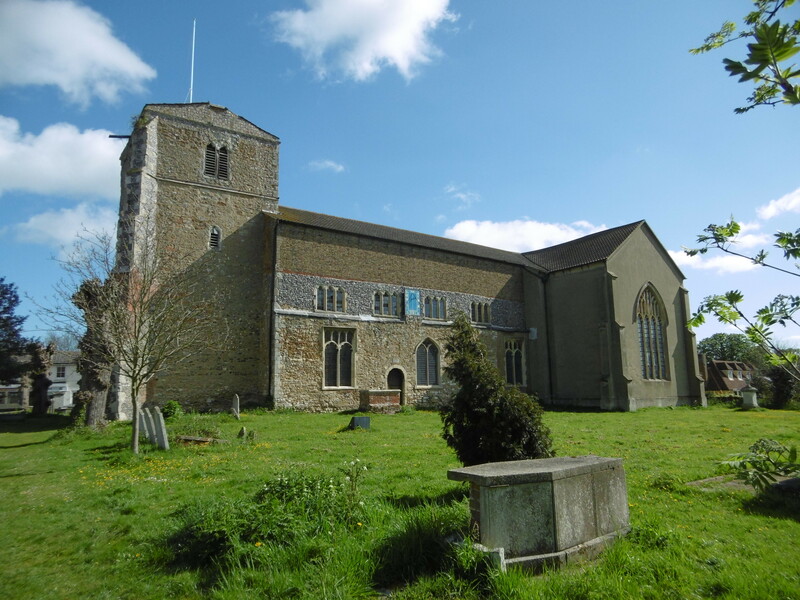 Only a limited number of sherds of high medieval pottery are represented and as such the ways in which the town of Hadleigh developed throughout the Middle Ages remain to be discovered. It is hoped that future test pits will shed some light on this issue. The complete pottery report can be accessed here. 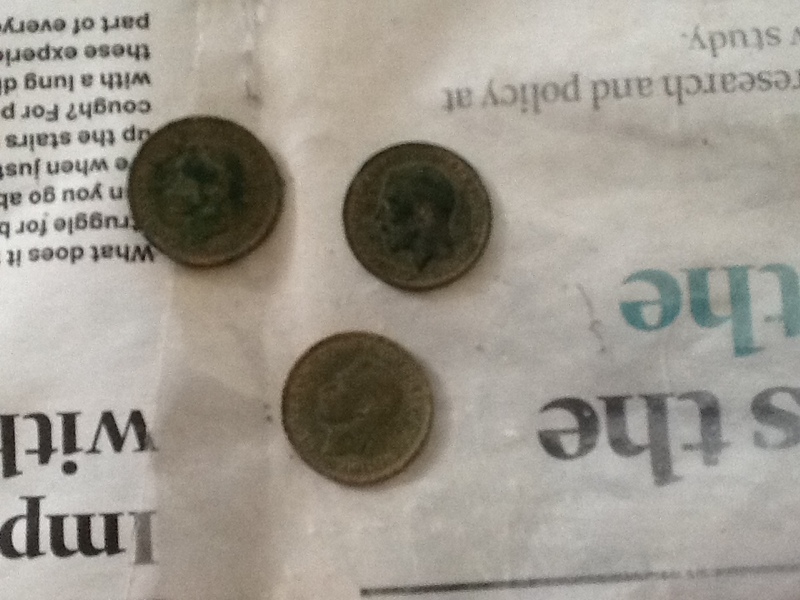 But, the Hadleigh test pits did provide some treasures. 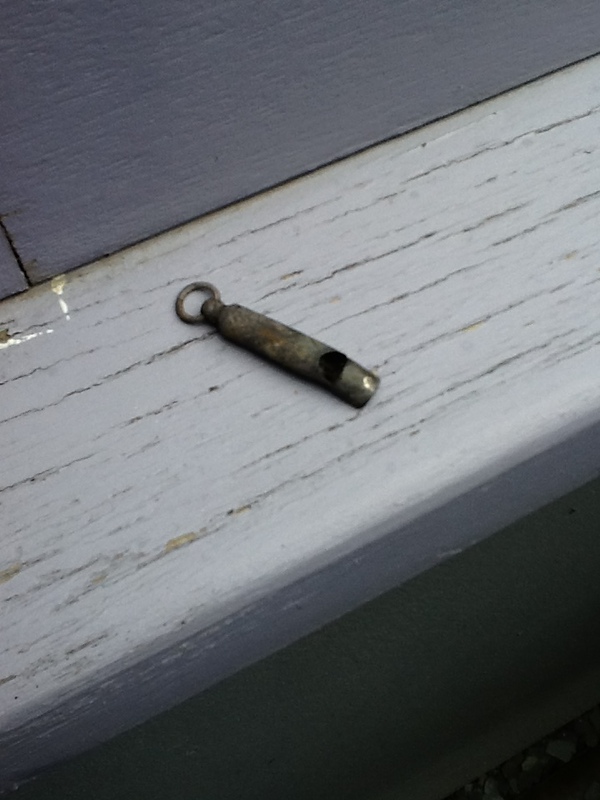 TP 8 on Oak Road South produced a sweet Victorian toy tin whistle and TP 10, dug by AGES AHA members, in front of the United Reform Church came down onto three farthings dating from the earlier half of the 20th century. It is possible that these were lost in a single occurrence; one can easily imagine a ‘hole-in-the-pocket’ incident. The students spent the third day of the HEFA in Cambridge where they learned not only about university, but also about how their individual test pits fit into the wider picture. Carenza’s lecture on medieval settlement studies and the Currently Occupied Rural Settlement (CORS) project helps highlight how HEFA participants contribute to university research, an aspect of the programme that always ranks highly in student and teacher feedback. The students then split into groups for lunch and a tour at one of Trinity, Trinity Hall, Downing and St John’s Colleges. These tours were given by either the admissions officer or schools liaison office (SLO) from each of the colleges. Lizzie Dobson, SLO for Emmanuel College, then gave a presentation to the entire group about the University of Cambridge, post-16 options, A-Level choices and choosing degree subjects. Day 3 concluded with Dr Trish Biers, visiting scholar at the McDonald Institute for Archaeological Research, giving a presentation on how to structure and present a written account of the excavation. Students who submit a report receive detailed feedback and a certificate from the University of Cambridge. This feedback can then be used in future university applications, CVs etc. and their reports form part of the permanent archive. In feedback after the event, 95% of participants rated the field academy as ‘Excellent’ or ‘Good’. Students commented, “I thought that it was really good fun and a very constructive experience,” (JF) “I enjoyed collaborating with other schools and integrating with other students” (AN) and “It was a lot of fun and I would do it again!” (CC). ACA would like to thank the students and staff of the four schools involved for making the Hadleigh HEFA a successful event despite the horrible weather. Special thanks to Terry and Lynda of AGES AHA, Gareth March of SHSB and Hadleigh URC. 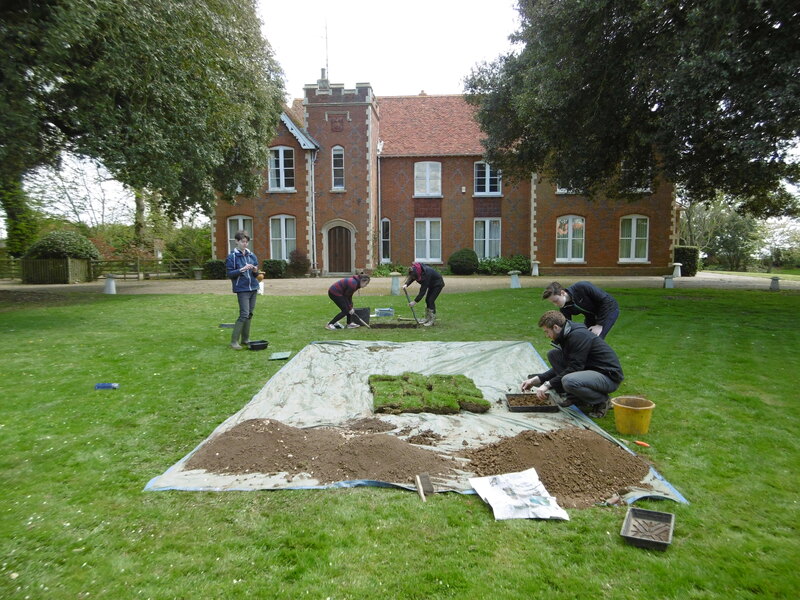 ACA’s fifth Higher Education Field Academy (HEFA) took place last week, 29th – 30th April , in Southminster, Essex. 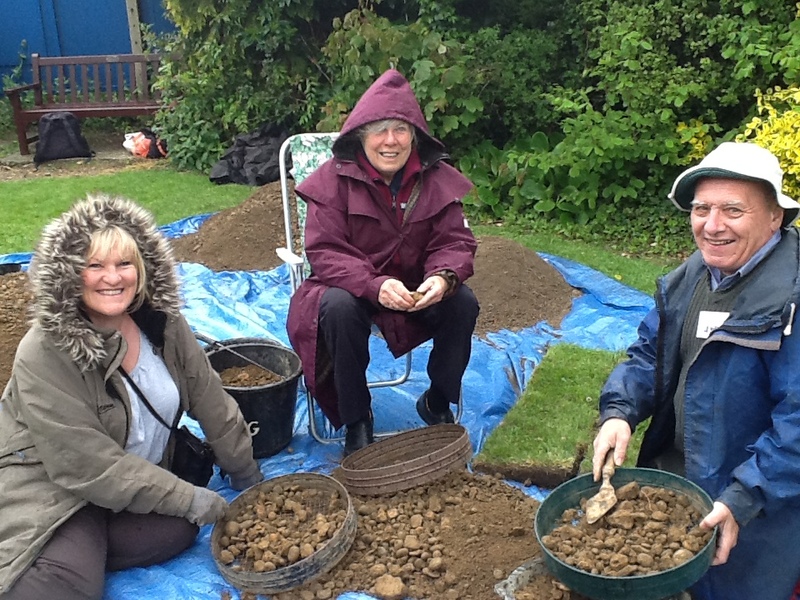 The 42 Year 9 pupils from Ormiston Rivers Academy, William de Ferrers School and The Plume School excavated 11 test-pits throughout the small town. 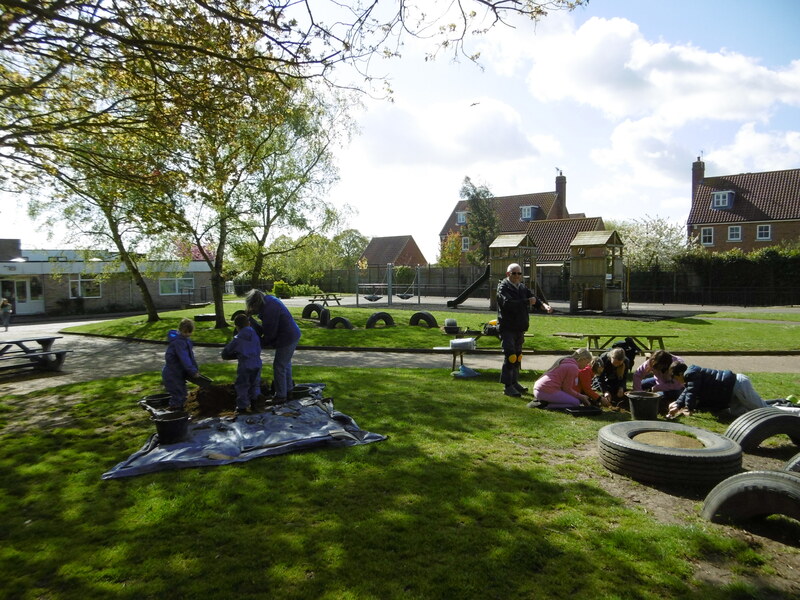 An additional test-pit held in the grounds of Southminster Church of England Primary School was excavated by several of its pupils. The test-pits were organised by David Stamp of William de Ferrers School with Ron Pratt, mayor of nearby Burnham-on-Crouch, and Kay Maudesley, parish councillor. The base for the two digging days was the community hall on the King George V Playing Fields. The 11 x 1m2 test pits were located in the back gardens of private properties on Hall Road, North Street, High Street, King’s Road and Burnham Road. There were also two test-pits located at the Southminster Residential Home on Station Road and two on the King George V Playing Fields. 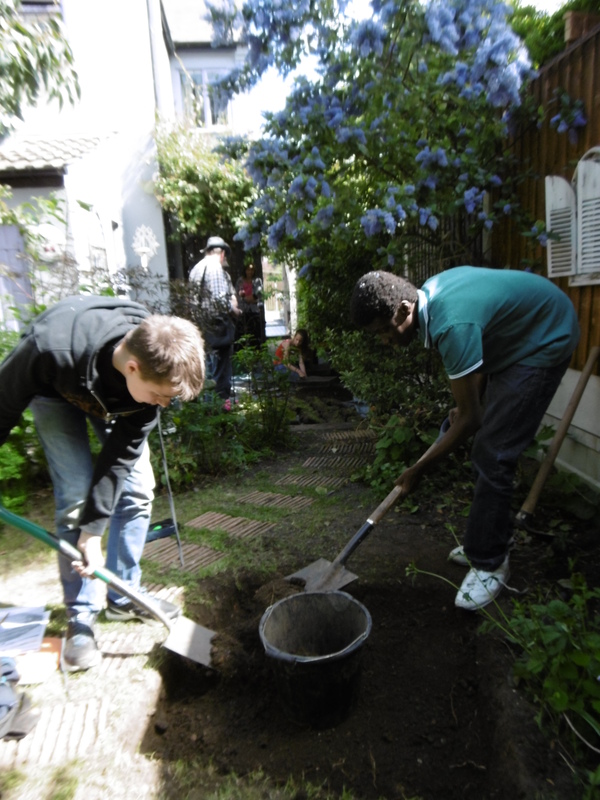 The students worked in mixed-school teams of 3 or 4 and were supervised by teachers and local volunteers. After receiving a briefing on Day 1 from Dr Carenza Lewis, Director of ACA, about how to excavate and record the test pits, the students went out on site and excavated for 2 days. Even through the wind and rain on the Wednesday the teams persevered, with some pits making it all the way down to ‘natural’. We were pleased that two local publications, The Maldon and Burnham Standard and the Burnham Review, sent out photographers to cover the event. Once those articles have appeared online they will be linked here. 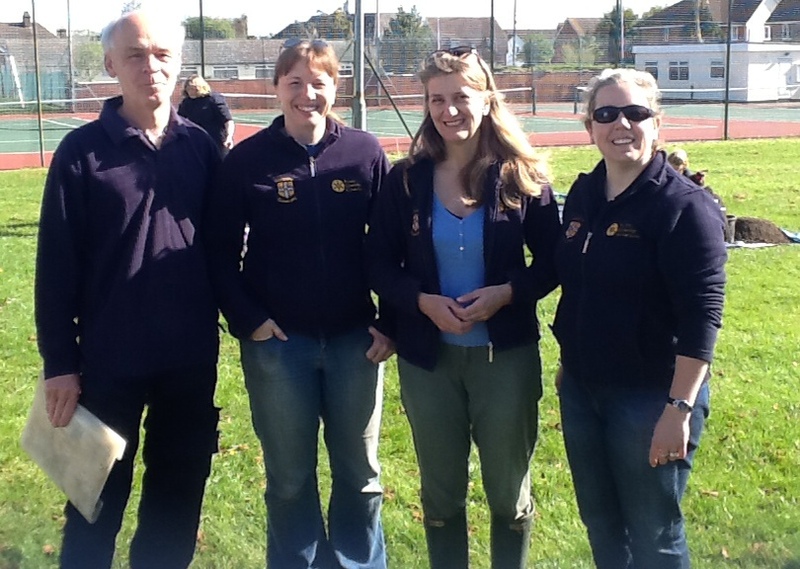 We were also fortunate enough to have Maria Medlycott, Historic Environment Officer for Essex County Council, come out on Thursday for a tour of the test pits. As this is the first year a HEFA has been held in Southminster, the initial findings suggest a cluster of medieval pottery around St Leonard’s church which is still central to the modern town. One piece of possible prehistoric pottery (Iron Age) was found on this HEFA in TP 6 on King’s Road, located on higher ground overlooking the marshes to the east. Other prehistoric settlements are known in Southminster, so this could possibly relate to that. Some possible Roman pottery was found in the grounds of the residential home on Station Road, but the final pottery report will confirm these initial conclusions. Once the finalised pottery report has been received it will be linked here. 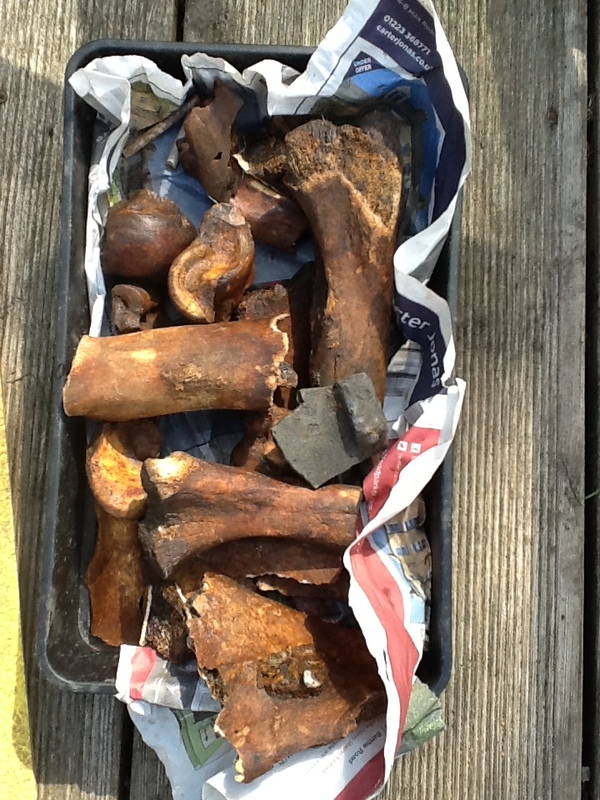 Another find of note is the Victorian ash pit that the team on TP 4 on North Street came upon which produced masses of ceramic and butchered bone. 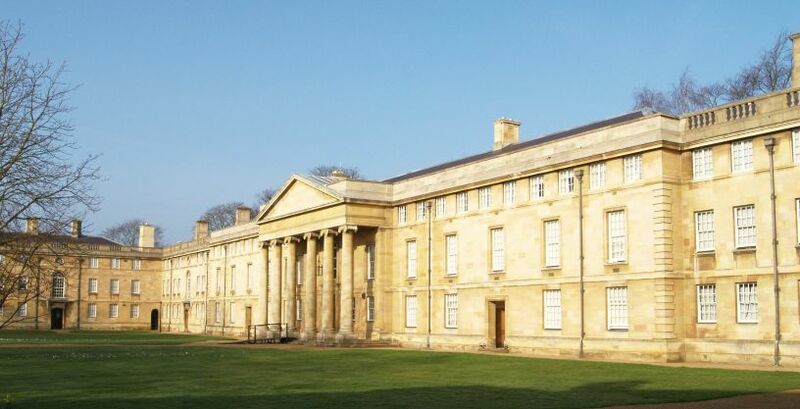 The students spent the third day of the HEFA in Cambridge where they learned not only about university but also about how their individual test-pits fit into the wider picture. Carenza’s lecture on medieval settlement studies and the Currently Occupied Rural Settlement (CORS) project is always popular, especially as it’s the first time most of the students have experienced a university lecture. Some of the comments were, “I enjoyed the lectures and the help given on the report writing” (AM) and “I enjoyed the lectures as I feel they gave you a small insight of life at university” (PP). The students then split into groups for lunch and a tour at one of Trinity, Downing, Emmanuel and Pembroke Colleges. These tours were given by the schools liaison officers (SLO) from each of these colleges. 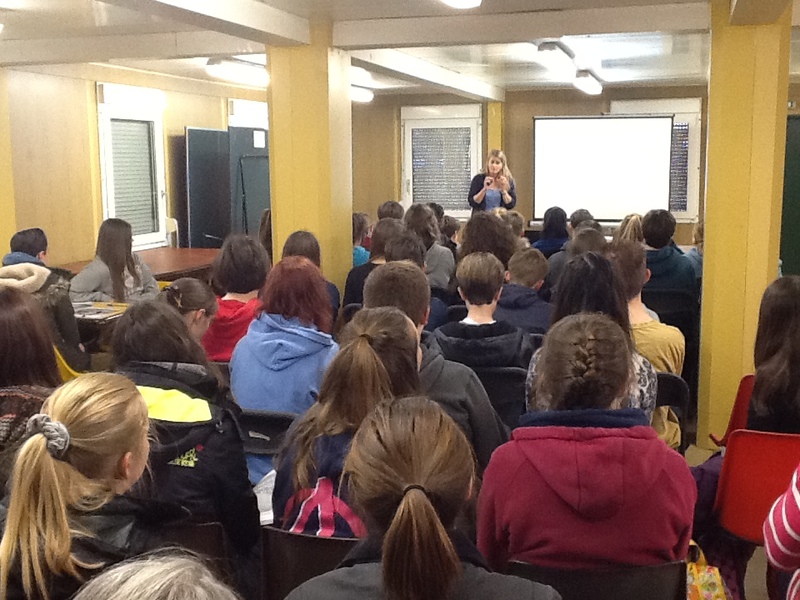 Emma Paulus, SLO for Pembroke, then gave a presentation to the pupils about the University of Cambridge and life as a university student. The day concluded with Dr Jenni French, Research Fellow in Archaeology and Anthropology, giving a presentation on how to structure and present a written account of the excavation. These reports go on to form part of the archive at The University of Cambridge. In feedback after the HEFA 98% of participants rated the field academy as ‘Excellent’ or ‘Good’. The students enjoyed meeting and working with new people and working in a team as well as visiting the University of Cambridge and learning more about university and archaeology. Students commented, “I have gained both confidence and the realisation of how important archaeology is” (MP), “I have enjoyed interacting with people with similar interests and I have gained confidence with new people” (MB) and “I feel I have gained a sense of independence (as we worked with other students) and also I have gained the knowledge on writing a good written report (which is needed). I have also gained more knowledge on the history of the area” (CS). 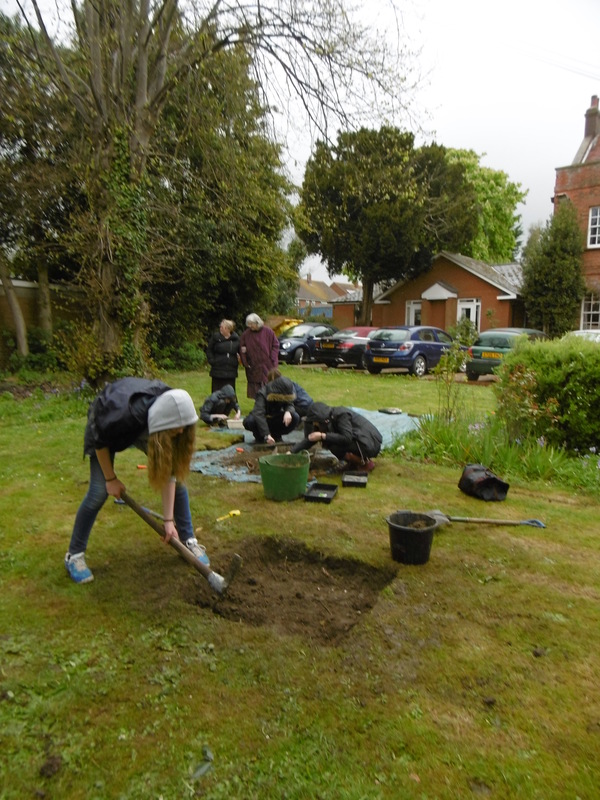 School staff commented, “Our students have gained personal skills, teamwork, confidence and archaeological and historical knowledge” (DS) and “They have gained an insight into archaeology, an idea of what higher level academic work is like and an opening of doors to university applications” (PM). ACA would like to thank the students and staff of the three schools involved for making the Southminster HEFA another successful event (even in the rain!). Special thanks to David Stamp for being both beacon school coordinator and local coordinator, to Ron Pratt and Kay Maudesley for organising the pits and to Mike Rees and Pat Sheehy of the Maldon Archaeological and Historical Group for supervising our young learners at Southminster Primary School.